The Search for the First Cartoon Network ROCK STAR! I have never been so out of place in my entire life as I graced this public event in Robinsons Magnolia this afternoon. 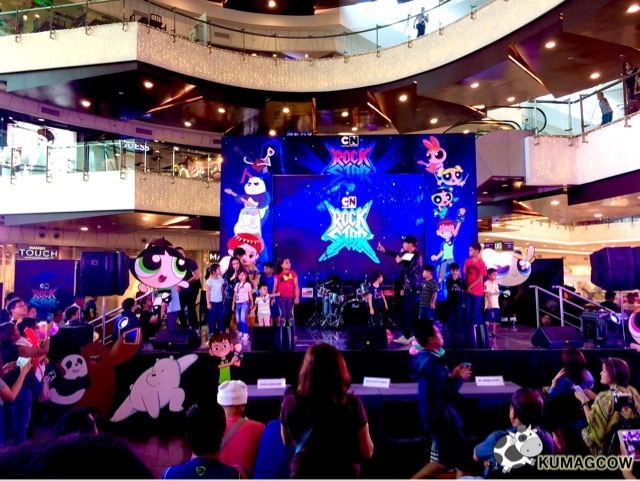 This is the CARTOON NETWORK ROCK STAR event which happened at the mall's main activity area. I'm telling this story as I'm surrounded by TONS of kids, from toddlers to pre teens, their parents, lolos and lolas while they're waiting for the announcement of the first ever Cartoon Network Rockstar. Now they know it wouldn't be easy for the kids to do that so they hooked them up with the industry's best humans so they could be well... presentable so when they go on stage they'd be in their best form. 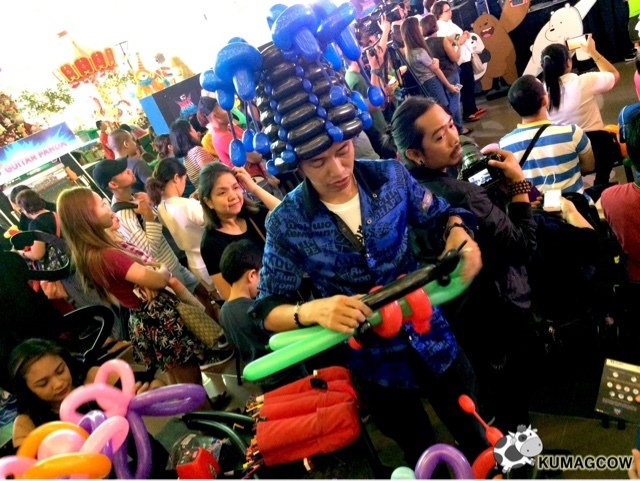 So all their outfits will be done by Kuya here so they can have balloon outfits, headdresses and musical instruments. He was extra careful and super accomodating to the kids while asking them about their instrument of choice. The other had guns though, colorful and all, but I like the guitars the most. The other booths though had photo booths so right after they were made up they can be seen with a bunch of characters from Cartoon Network shows. 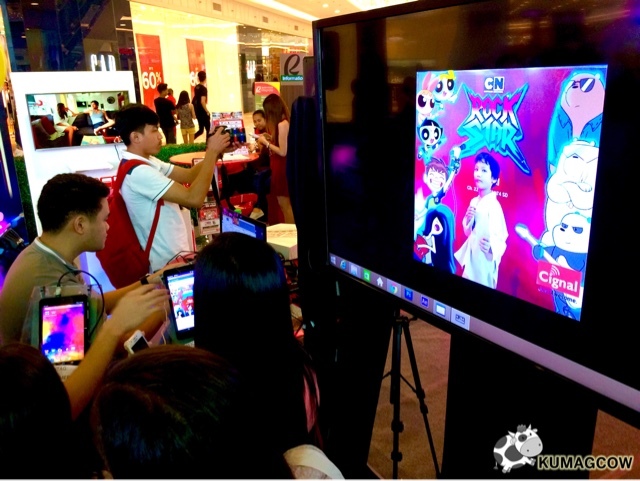 They were also encouraged to play a couple interactive arcade games so they can dance and play tunes. They'll be saving the air playing later, but judging by the kids I've seen, they're seriously going to perform. Why you ask? It's because they're going to be fighting for a grand prize which includes a Trip to Thailand for 4 (that's ALL EXPENSES PAID!) at the Cartoon Network Amazone Waterpark. They will also get to be signed for a 5 year contract with Viva Artists Agency so they could join the local entertainment industry, imagine that! 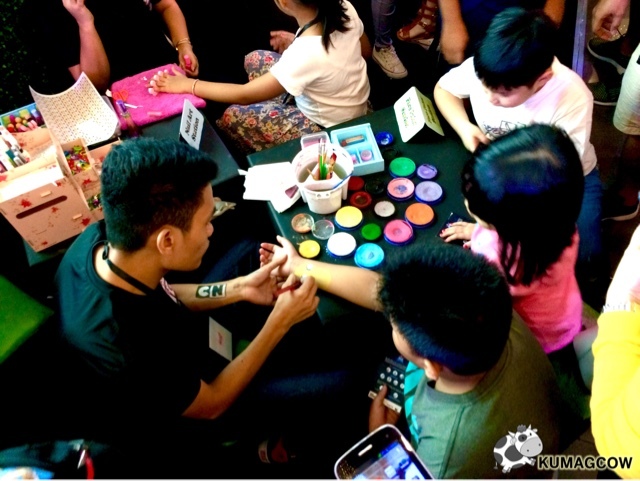 Aside from that, all kids who participated will be professinally made up, complete with temporary tattoos, hair, make up and glitters all over! 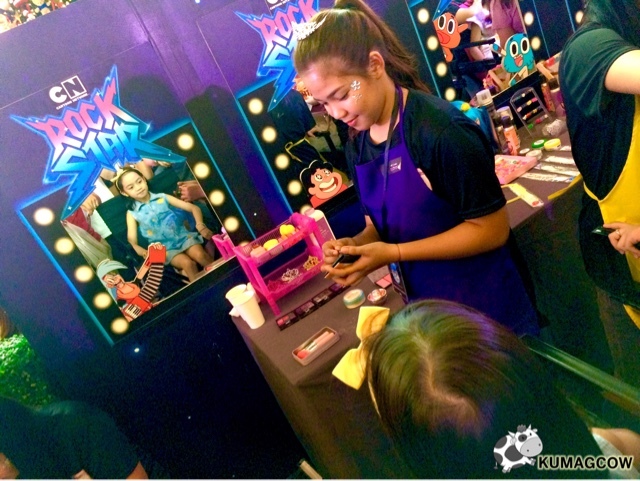 They will also be judged by a panel of celebrities and entertained by the likes of Camille Pratts and son Nathan, Xia Vigor who was in that viral Taylor Swift video, Teacher Georcelle of GForce, and Ate Sienna of Batibot aka Sienna Olasa who is the current Cignal Vice President for Programming and Channel management. If you've got sons and daughter who want to be inspired by these kids, come over to Robinsons Magnolia today because it's still happening. I'll update this article when I get the winner's name and their winning performance on video. Stay tuned. 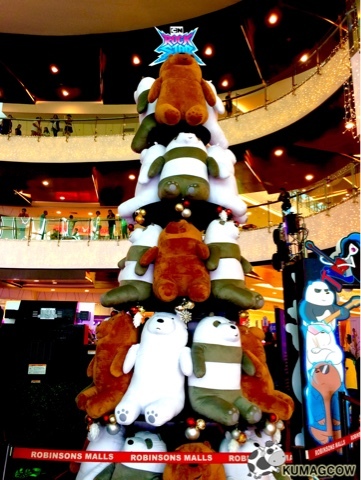 Again if you are around the area and want to join with the festivities, they are still here at Robinsons Magnolia! Oh and if you want to see other events hosted by CN, head on over to cartoonnetworkasia.com or their FB page Facebook.com/CartoonNetworkAsia or simply tune in on Cignal Ch. 74 or Ch 43 on SkyCable.